I’m visiting the University of Genoa and talking to two category theorists: Marco Grandis and Giuseppe Rosolini. Grandis works on algebraic topology and higher categories, while Rosolini works on the categorical semantics of programming languages. • Gabriele Darbo, Aspetti algebrico-categoriali della teoria dei dispotivi, Symposia Mathematica IV (1970), Istituto Nazionale di Alta Matematica, 303–336. Gabriele Darbo doesn’t call them ‘corelations’: he calls them ‘trasduttori’. A literal translation might be ‘transducers’. But he’s definitely talking about corelations, and like Fong he thinks they are basic for studying ways to connect systems. One difference is that Darbo wants there to be exactly one device with no terminals. Thus, he assumes is a one-element set, say , while the definition above would only demand the existence of a map obeying a couple of axioms. That gives a particular ‘favorite’ device with no terminals. I believe we get Darbo’s definition from the above one if we further assume is the identity map. This makes sense if we take the attitude that ‘a device is determined by its observable behavior’, but not otherwise. This attitude is called ‘black-boxing’. Darbo does various things in his paper, but the most exciting to me is his example connected to linear electrical circuits. He defines, for any pair of objects and in an abelian category a particular universe of devices. He calls this the universe of linear devices having as the object of potentials and as the object of currents. If you don’t like abelian categories, think of as the category of finite-dimensional real vector spaces, and let Electric potential and electric current are described by real numbers so this makes sense. relating the potentials on the wires going out to the potentials on the wires coming in. 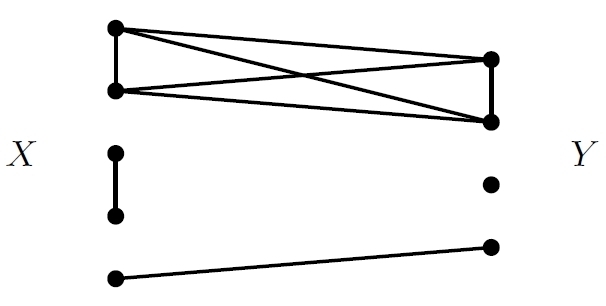 Here is the direct sum of copies of and so on; the funky arrow indicates that we have a linear relation rather than a linear map. Note that goes forward while goes backward; this is mainly just conventional, since you can turn linear relations around, but we’ll see it’s sort of nice. In other words, a device of this kind is simply a linear relation between the potentials and currents at its terminals! • John Baez and Blake Pollard, A compositional framework for reaction networks. appears in Lemma 16 of my paper with Blake, where we are defining a category of open dynamical systems. We prove that is a lax symmetric monoidal functor, which is just what Darbo proved—though in a different context, since our is not linear like his, and for a different purpose, since he’s trying to show is a ‘universe of devices’, while we’re trying to construct the category of open dynamical systems as a ‘decorated cospan category’. In short: if this work of Darbo had become more widely known, the development of network theory could have been sped up by three decades! But there was less interest in a general theory of networks at the time, lax monoidal functors were brand new, operads unknown… and, sadly, few mathematicians read Italian. • Franco Parodi, Costruzione di un universo di dispositivi non lineari su una coppia di gruppi abeliani, Rendiconti del Seminario Matematico della Università di Padova 58 (1977), 45–54. • Franco Parodi, Categoria degli universi di dispositivi e categoria delle T-algebre, Rendiconti del Seminario Matematico della Università di Padova 62 (1980), 1–15. • Stefano Testa, Su un universo di dispositivi monotoni, Rendiconti del Seminario Matematico della Università di Padova 65 (1981), 53–57. At some point I will scan in G. Darbo’s paper and make it available here. This entry was posted on Tuesday, June 20th, 2017 at 2:45 pm and is filed under mathematics, networks. You can follow any responses to this entry through the RSS 2.0 feed. You can leave a response, or trackback from your own site. This is all far beyond my mathematical knowledge, but it did remind me of something silly I’ll risk sharing. It relates to devices in the everyday sense. A device can be made arbitrarily small if it doesn’t have to work. If I’m not mistaken, is also known as the partition category. 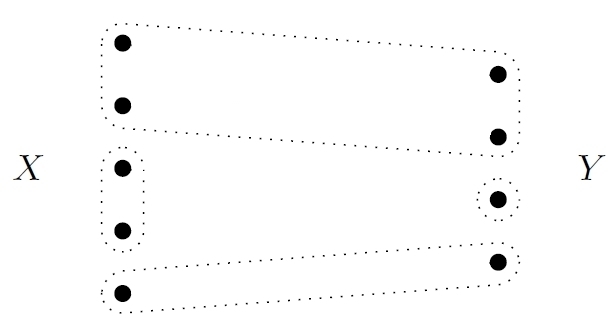 The corresponding algebra (a splendid survey is by Halverson and Ram, https://arxiv.org/abs/math/0401314), where you only consider morphisms between sets of a fixed size , is the centralizer algebra of the symmetric group, being its defining representation, when is at least . More precisely, when you compose two morphisms, some blocks may lose contact to the input and the output. In this case, these blocks (let’s say there are of them) are omitted and the result is multiplied with the -th power of a parameter, usually denoted . When is small, there is a basis of the centralizer algebra indexed (!) by set partitions into at most blocks. Hey, that’s cool! I hadn’t thought of linearizing this category! This is connected to Blake Stacey’s comment on taking formal linear combinations of morphisms in a category to get a new ‘linear’ category. It’s nice how the representation theory of the symmetric group shows up here. This could be pretty important, at least in applications of network theory to linear systems. with the word ‘latex’ appearing directly after the first dollar sign, no space between, but then a space after it. Nice! I hadn’t known, or had forgotten, that you are collaborating with Bruce Westbury. I really like his paper on a diagrammatic approach to normed division algebras (or more precisely, composition algebras). Nice paper, Martin Rubey, thanks! I am still trying to figure out a refinement, I hope I’ll manage!